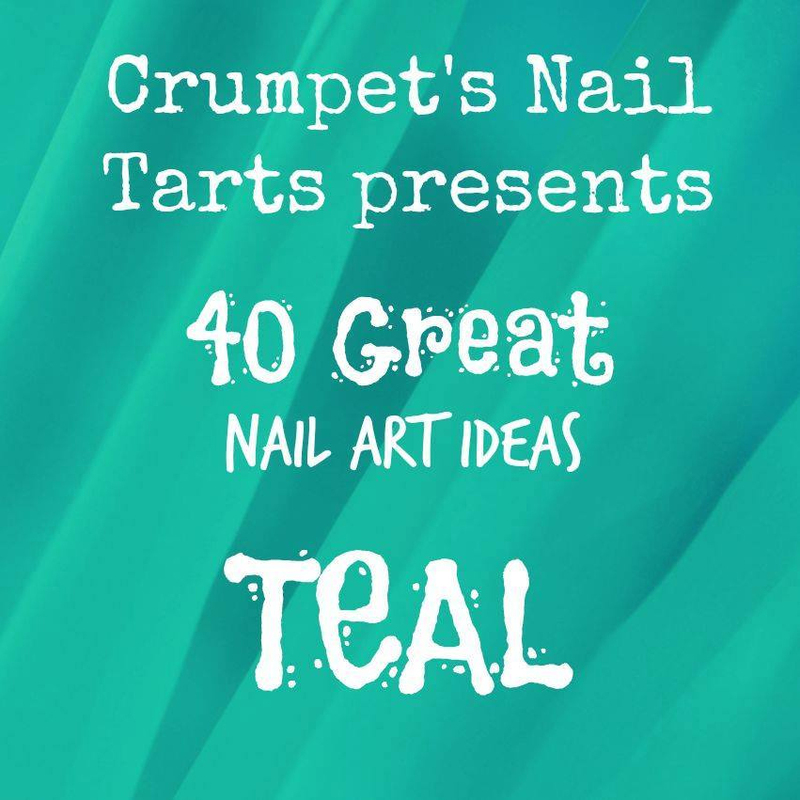 Week two of our 52 week challenge brings you lots of nail art ideas all based on the colour teal. 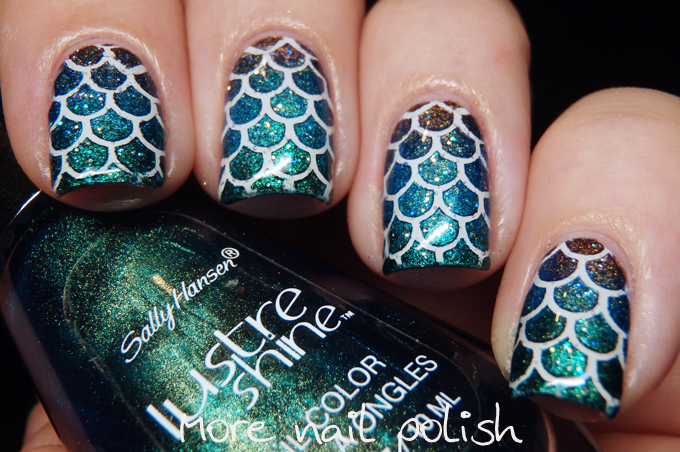 For our colour prompts, we are also assigned a pattern or technique prompt, and I hit the jackpot when I was assigned mermaid / scales together with the colour teal, perfect or what. Some of the girls have pretty odd combinations, and I'm sure I will too as the year goes on, but that's the challenge part to this! 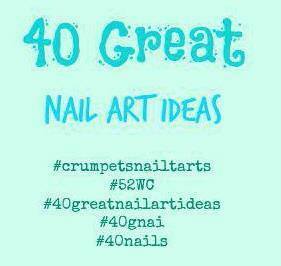 I used some scale nail vinyls from Loki's Nail Vinyls for this mani. I actually used three colours in my gradient, and strictly speaking only one of those was teal, but the overall effect is still teal. I used a tiny bit of Dance Legend Knight multichrome at the cuticle edge. The other two colours are Sally Hansen Scarab and JOSS Forest Moon. For that touch of mermaidy sparkly magic I applied some Face of Australia Show 'em your sparkle, which was in my untrieds. 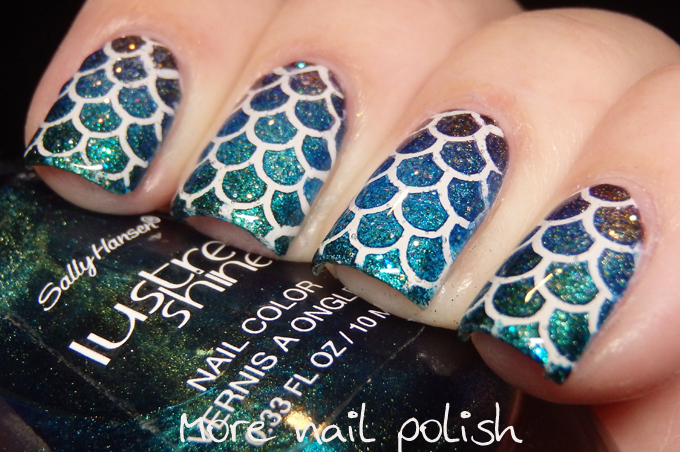 It has gold, green and blue iridescent glitters in a clear base, so was just perfect to use in this mani. To ensure it was glassy smooth, I did apply three layers of top coat, but wow this was so pretty. I will upload an Instagram tutorial video in the next 24 hours, and I'll come back and add that to this post then. 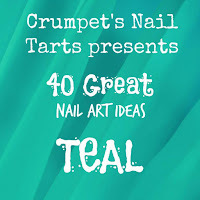 Don't forget to check out all the other teal mani's in the inlinkz below. And what a perfect theme combination. Like a real mermaid tail. Or, at least, this is how I imagine mermaid tails. 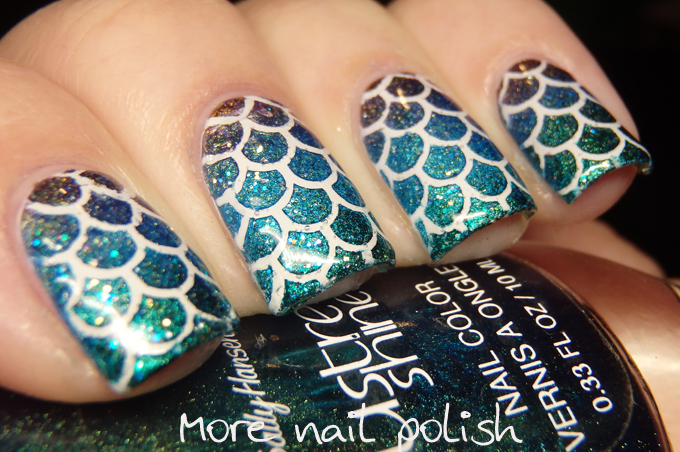 This manicure reminds me of the ocean and then i want to have some lovely fish & chips with Ice-cream for dessert. Lovely amnicure and photos! Beautiful! 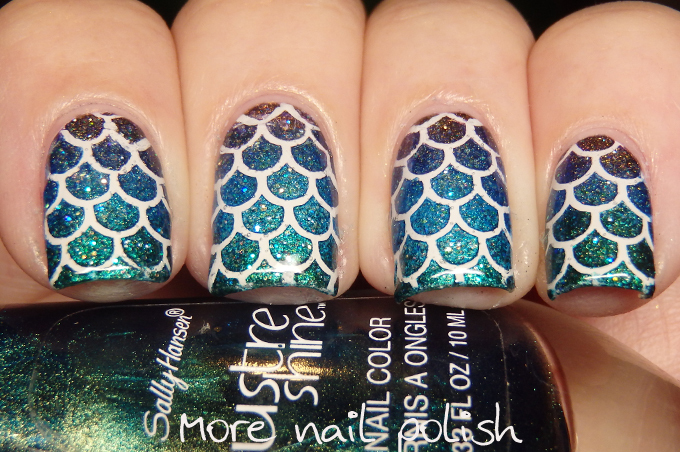 The gradient is awesome and the scales are the perfect touch! Very beautiful! 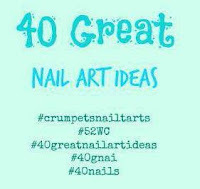 I like you nail art! 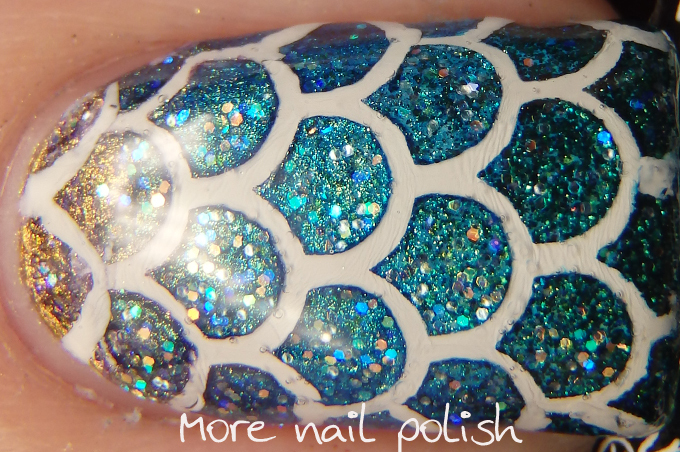 This design in nails reminds me of ocean waves. Thanks for sharing this beauty!